This has never happened before. I'm at an event, I see an amazing creation, I meet the builder, and during the event itself, the builder publishes a picture and gives me the link. 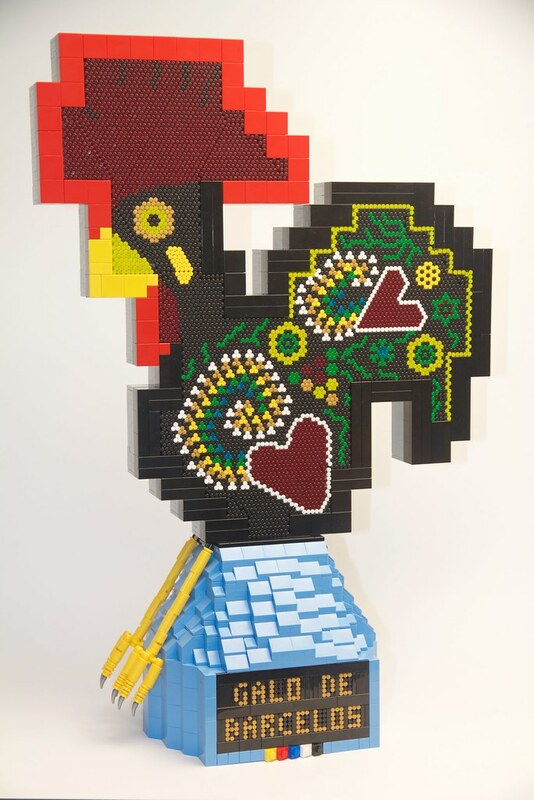 I've walked past this stunning and unique MOC of the mascot for Communidade 0937 several times and it captivates me every time. The entire interior structure of this is lightsaber blades, captured in a frame. For the display it's backlit too, making it even more magical.